NOISE PROBLEMS IN THE GYM? The use of accessories in the gyms generates constant noise that annoys the rest of the users of the room, especially in free weight or Crossfit® areas due to the high weight of the material, which also produces vibrations that make the noise reproduce in other areas of the gym or adjacent establishments. Noise is the sound that occurs with the fall of weights, machine movements or impacts with great force on the room walls or floor. When an impact is generated on a surface, it vibrates transmitting part of the energy that is not absorbed to the structure of the building and to items connected to it, and even to the air particles generating induced aerial noise. When an object comes in contact with the ground, its fall speed is drastically reduced to zero. If the flooring is rigid, the descent of the speed is fast and the object generates a great force impulse and short duration, which causes a high noise. However, if the flooring is elastic, the rate of descent of the speed is lower generating a force pulse with a little amplitude, but great duration, notably decreasing the generation of noise. 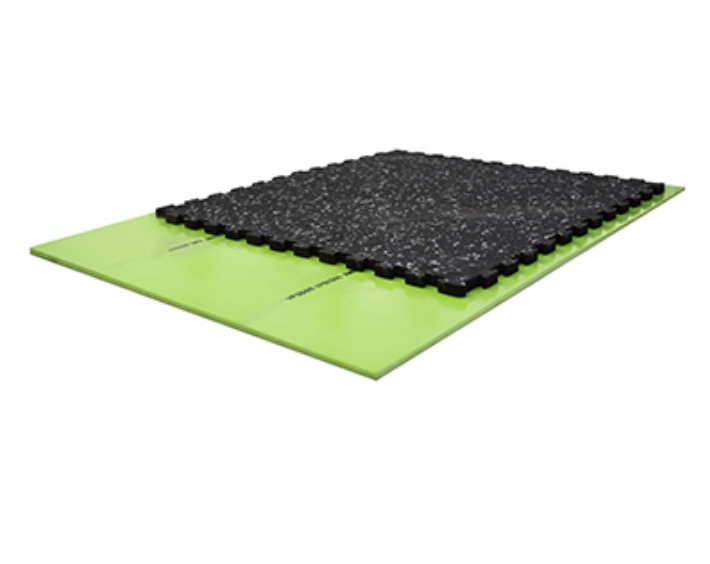 The impact of an object on hard floor produces a great amount of high frequencies annoying to the user, while the impact on the floor with an elastic surface produces the sound only at low frequencies, working as a filter. In cases of free weight training or Crossfit® where noise generation higher, the Endurance S & S and Extreme S & S products greatly reduce the noise and vibrations transmitted to the structural elements of the room. 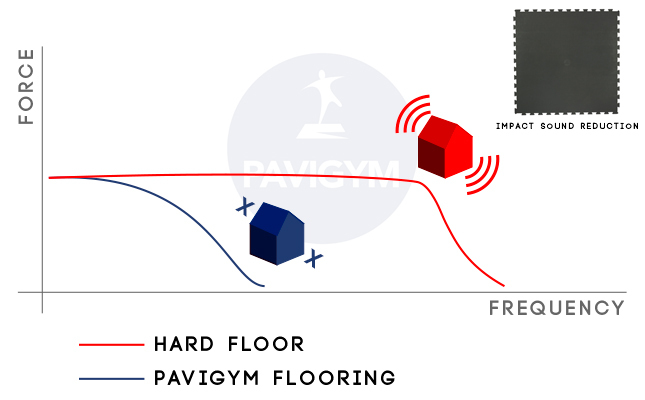 In the case of gyms or studios that require greater insulation due to the structural characteristics of the construction or due to legal requirements of the location, we present the PAVIGYM Acoustic range: Silent, Underlay and Balance. 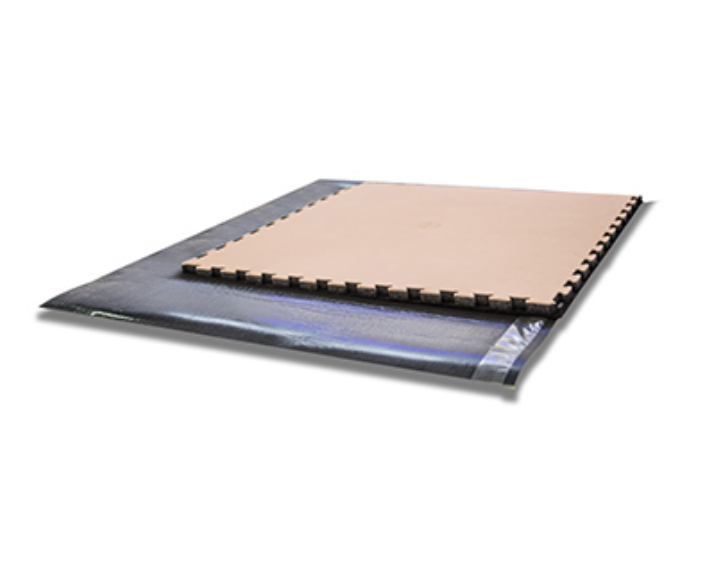 Is a an elastic resilient underlay that provides great performance in the reduction of impact sound, and an outstanding reduction in reflected walking sound. 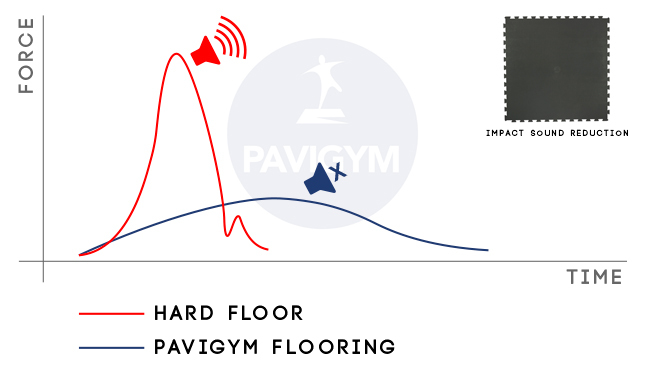 In combination with PAVIGYM Silent , reinforces the properties of impact sound reduction and absorbs the vibrations generated by the use of training material in gym rooms. 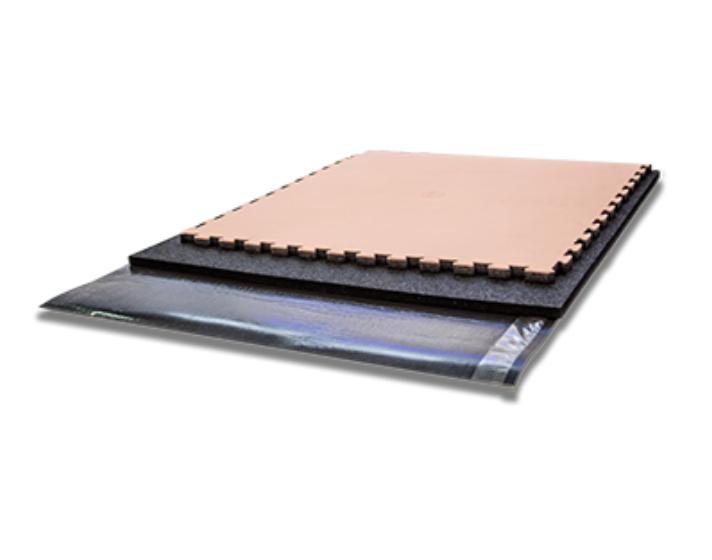 Offers the maximum coefficient of vibration damping and impact sound absorption due to its microcellular characteristic that is able to work under the most extreme conditions, providing a very high anti-shock capacity at low frequencies, with a high durability that guarantees its characteristics from the first day.